The grain elevator in Holland, MB, Aug 2014. Contributed by Steve Boyko. 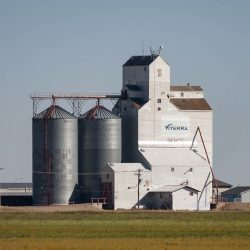 The town of Holland, Manitoba hosts a Paterson grain elevator. 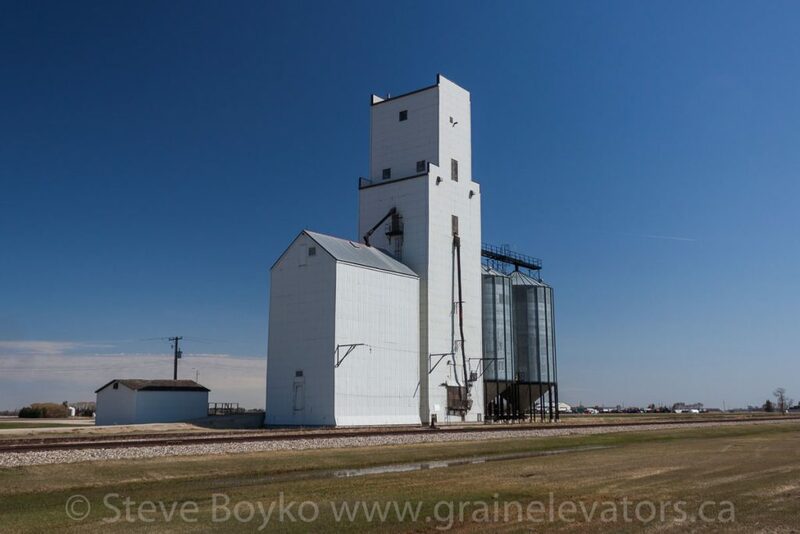 This elevator has a capacity of 3,240 tonnes and is owned by the N.M. Paterson grain company. 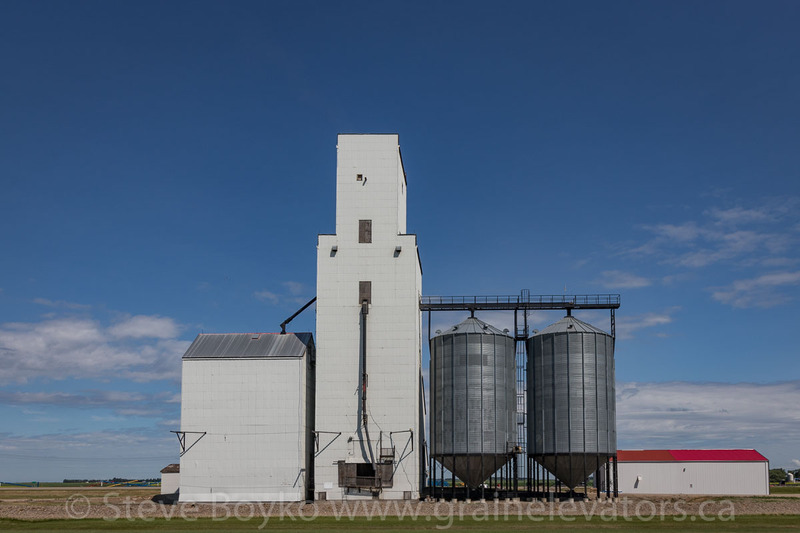 The grain elevator in Holland, MB, Jun 2018. Contributed by Steve Boyko. 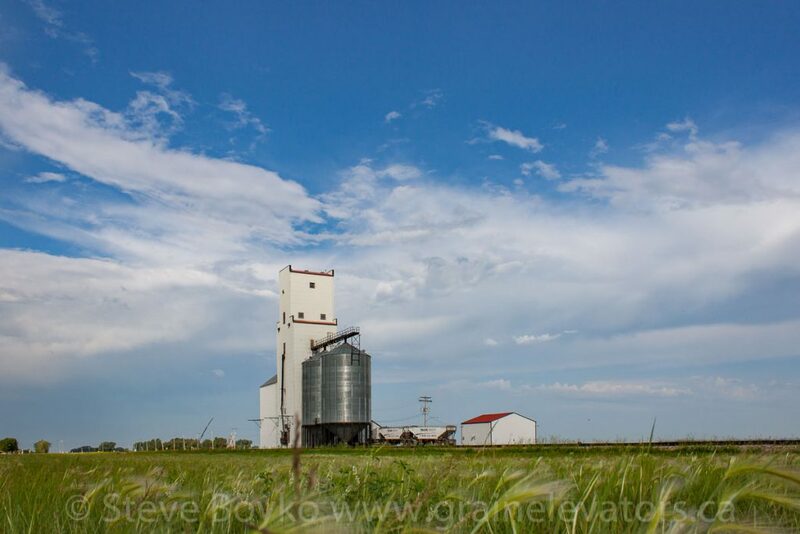 Holland, Manitoba’s grain elevator, May 2014. Contributed by Steve Boyko. Holland was on the CP Glenboro subdivision. CP abandoned the middle of that subdivision around 2015 and Holland no longer has rail service. 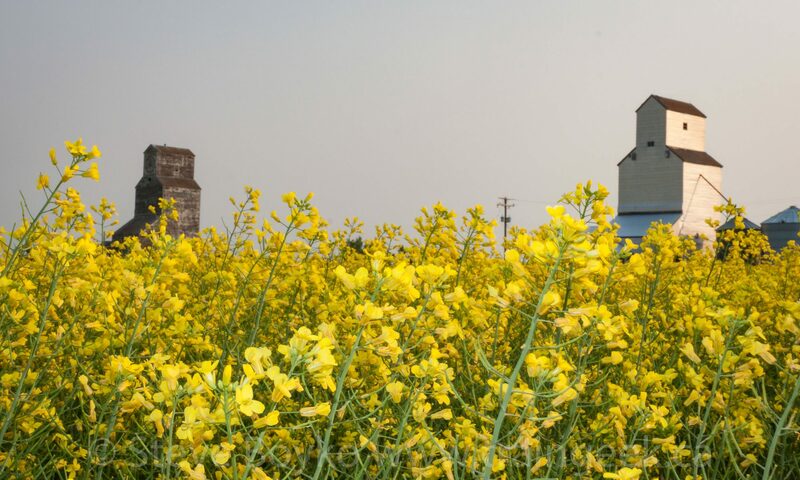 The town of Holland is notable for having a windmill – non-functional – and has a mural honouring Tammy Mahon, who was on Canada’s national women’s volleyball team from 2001 to 2012. 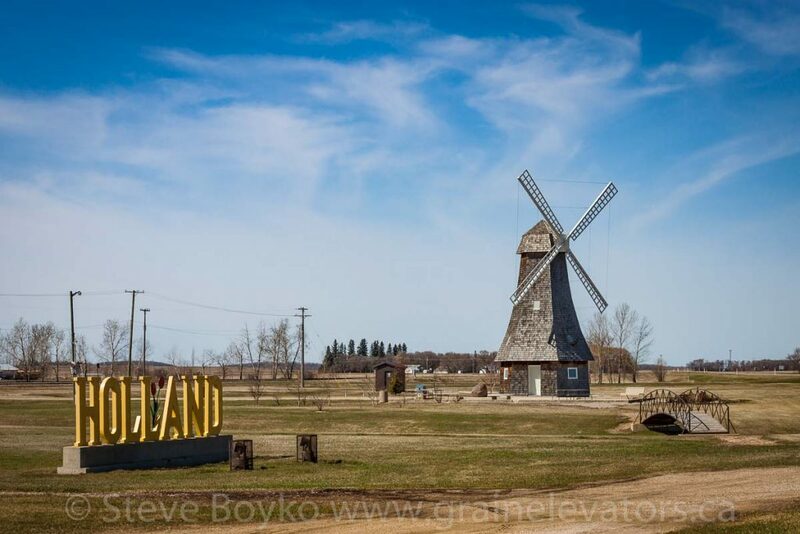 Windmill in Holland, MB, May 2014. Contributed by Steve Boyko. 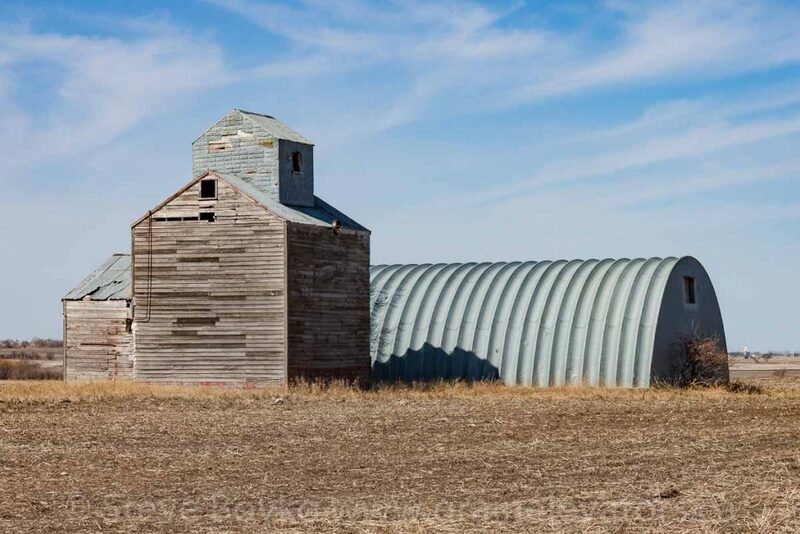 This barn/elevator is on a farm nearby. A small farm elevator near Holland, MB, May 2014. Contributed by Steve Boyko.